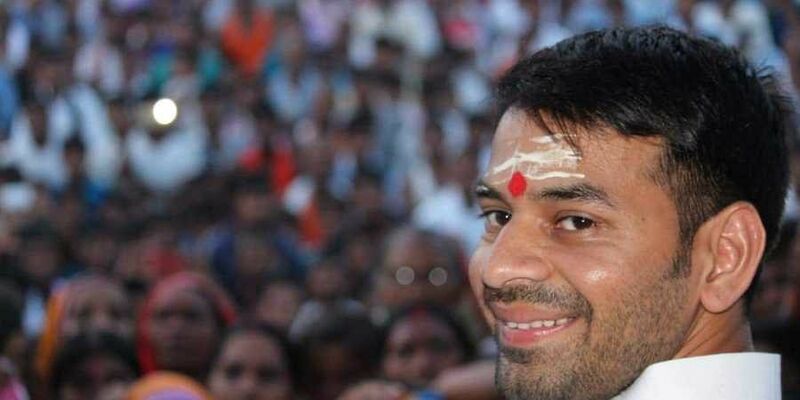 PATNA: RJD leader Tej Pratap Yadav, who met his father Lalu Prasad in Ranchi Saturday regarding his decision to divorce his wife, did not return here as expected but left mid-way for an unknown destination, sources close to the family said Tuesday. "I met Yadav, along with other party leaders, over dinner Sunday. He was looking exhausted. He bade us goodbye Monday, saying he was returning home. I have the knowledge of his movements only till his departure from the Royal Residency hotel," the MLA told PTI over the phone. Yadav, a former Bihar health minister, had recently spent a number of days in Vrindavan, where he was reportedly seen playing the flute with a peacock feather tied to his head in the midst of a herd of cows. "It is a family matter, which has to be resolved by both sides. One should refrain from making political statements on the issue. It is unfortunate for a young couple to have experienced such a discord. Best wishes to Aishwarya, who is the daughter of the society, and hopes for her happy reunion with Tej Pratap by Deepawali," state BJP spokesperson Nikhil Anand said.